The following letter has been sent to the Bath Chronicle after a vote in the Commons to allow fracking underneath National Parks, AONBs, SSSIs and World Heritage Sites. 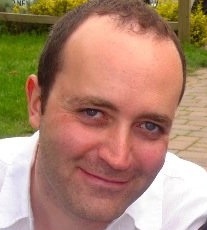 The MP for Bath, Ben Howlett, voted in favour of lifting the ban. I was saddened to see our MP Ben Howlett’s vote in parliament this week to allow fracking in formerly protected Areas of Outstanding Natural Beauty, National Parks and World Heritage Sites, such as Bath. Mr Howlett has previously claimed to oppose fracking in Bath (a perfect example of NIMBY-ism), but this vote allows Bath to be fracked regardless of any special status. The trouble with flown-in career politicians is that they rarely vote against their government. If Mr Howlett had any real connection with Bath he would understand that the vast majority of the people recognise that fracking is a real danger both to their area, and for the environment in general. This is just one of the reasons why the Green Party, the only party opposed to fracking, received the highest increase of vote share for any party in May.